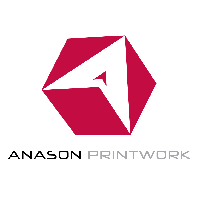 Founded in 2011 in printing industry, we started out as a small, local printing services business where we consolidate most kind of printing work in one hub – Anason Printwork. From creating your graphic art to producing your print masterpiece, we are willing to undertake your printing matters to our solutions. As we grew steadily for many years with the support of our loyal client nationwide, we are expanding our service through out many sales channel to reach our audience.